Many people may associate Lamaze with pregnancy classes, but they also offer an amazing variety of baby toys. 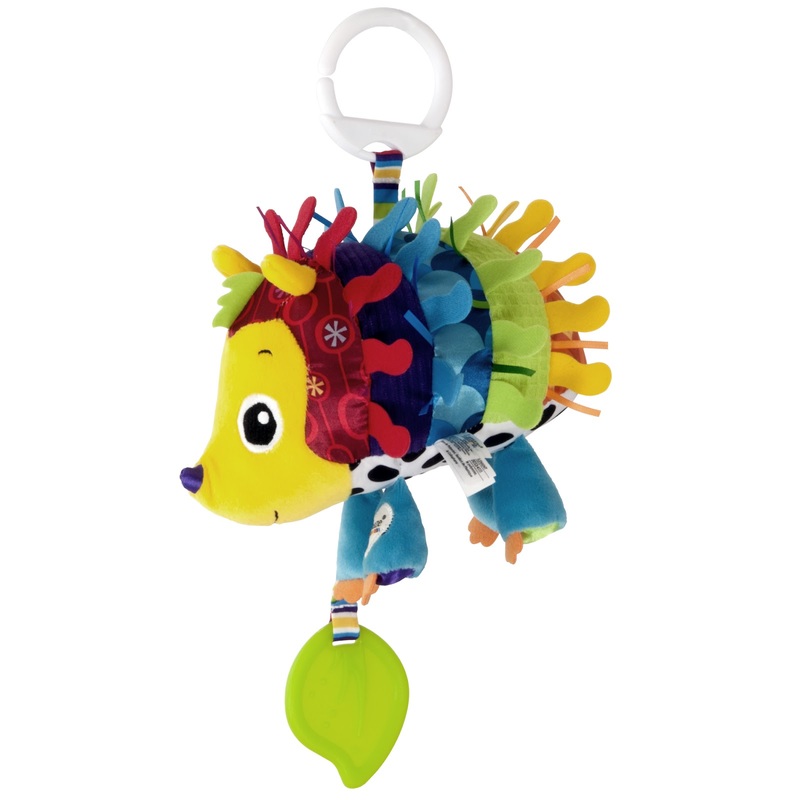 Their infant toys are bright, colorful, great for development and absolutely adorable! Lamaze Huey the Hedgehog: Soft and cuddly, Huey the Hedgehog is full of developmental features that are fun and stimulate baby’s senses. Huey’s body features a rainbow of colors, vibrant patterns and multiple textures. He also comes with ribbons, crinkle, and a leaf teether. When linked to a stroller or carrier bar, Huey will playfully dangle in front of baby, making him the perfect take-along toy. 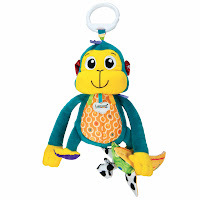 Lamaze Makai the Monkey: Baby will love monkeying around with Makai the Monkey! Full of developmental features that stimulate the senses, the adorable monkey features a colorful body, vibrant patterns, ribbons and a high contrast swinging peek-a-boo banana. Complete with a Lamaze link, Makai is ready for adventure! These toys are simply darling! They are colorful, they squeak, they crinkle, and are perfect for any baby or toddler. Perfect for at home, in the car, or on the go! They have a round plastic hook/link, making it easy to hook them anywhere: car seat, stroller, or playpen. That way baby can easily play with them and they can't drop or lose them! 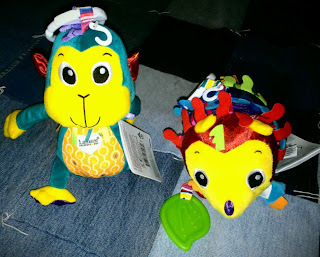 Be sure to stop by and enter my Lamaze Baby Toys giveaway for your chance to win 3 great Lamaze play and grow baby toys! 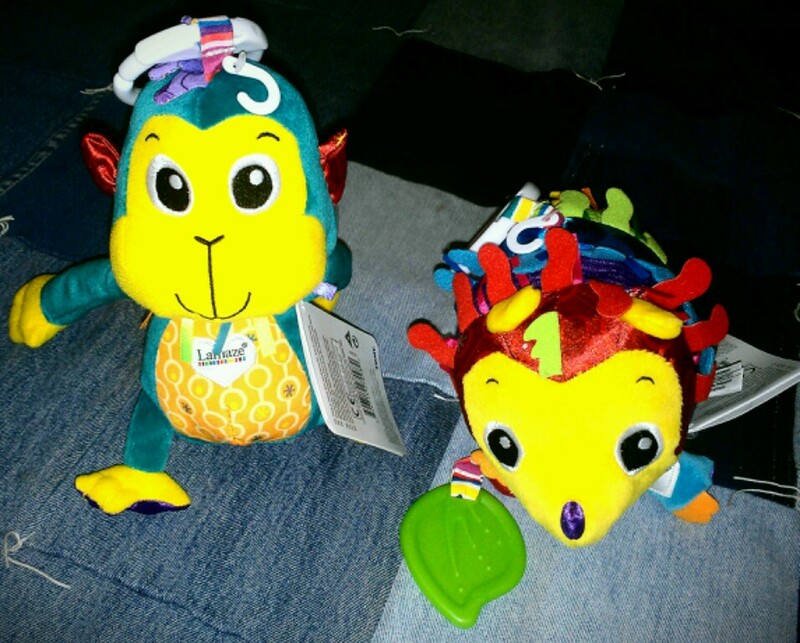 Disclaimer: I received a complimentary Lamaze play & grow infant toys from Tomy Toys for the purpose of writing a review. Regardless, I only recommend products or services I use personally and/or believe will be a good fit for my readers. The views and opinions expressed on this blog are purely my own. Results may vary. No monetary compensation was received. These toys are so cute, they'd make a great baby shower gift. Oh my gosh..those are simply adorable!! I have a brand new niece that these would be perfect for. I love these toys!! They are so bright and colorful and made well. WHen I get baby shower gifts I always include one of these!! They have always had the cutest line of baby toys. I used them with all 3 of mine. These are great! Would be great to give a baby showers! And great for my kiddos! Athena would totally love those! The hedgehog is super cute! I have a few friends that I need to buy baby gifts for, and I'm thinking he needs to be a part of them!